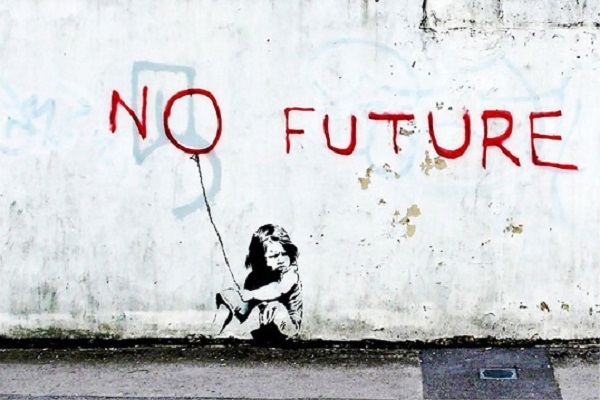 Banksy, summarising the English youth at the dawn of XXI century. England. The home of football. The place to hone one’s skills as a player and to show them off right away if they’re coming to you naturally. The place with state-of-art football academies and comfortable conditions for both education and hard work. An ideal location for an absolute explosion of sporting prodigies – especially the domestic ones, who have a natural adaptational advantage over the foreigners. Or at least you’d think so. More football for our #YoungLions as the U20s take on Senegal to conclude their 4️⃣Nations tournament in France. Goalkeeper Luke Southwood might be at a Championship side Reading, but he’s yet to make a first-team appearance in a competitive game, as the #1 spot belongs to experienced Omanian, Ali Al Habsi. Instead of being given a chance, Southwood has been struggling in the reserve team competition called Premier League 2, in which Reading are a rock-bottom team and only managed to keep one clean sheet in 19 games. Everton’s youth system product, Jonjoe Kenny has already visited Wigan and Oxford City in his loan journey, as has Premier League debut in May 2016 did not result with any more first-team appearances for Toffees thus far. This season though, he’s leading the reserve Everton squad to a likely Premier League 2 win and Seamus’ Coleman horrific injury might be opening him a senior squad chance in the nearest future. Next goes the Canadian-born centre-back, Oluwafikayomi Oluwadamilola Tomori. Other than having an outrageous first name (commonly shortened to ‘Fikayo’), the youngster is known for having a Premier League debut in his record. He might’ve featured for 30 minutes in Chelsea’s 1-1 draw against Leicester in May – but nine months later, he’s on loan, warming the bench at Brighton, where he’s made only 3 starts this season (Seagulls lost all of them…). Tomori’s centre-back partner and Chelsea colleague, Jake Clarke-Salter has enjoyed a 16-minute long cameo against Aston Villa last season. Nowadays, he’s kicking the ball in League 1, for Bristol Rovers, where he unfortunately broke an arm in a heavy, 1-5 home defeat against Charlton. He’s just recently made a comeback from that injury and his team, tenth at the moment, still remains in the race for the Championship play-offs. When it comes to League 1, left-back Rico Henry has already made a name for himself in that competition, having played a successful 2015-16 campaign for Walsall. A Football League Young Player of the Year award nominee last season, he is now a regular starter for a Championship mid-tablers, Brentford. Which would’ve been decent – if it wasn’t for the fact that he’s already missed five months due to a recurring shoulder injury. The ‘best young player’ award Henry missed out on eventually went to Lewis Cook. After making sort of a breakthrough for Leeds in the Championship last season, the young lad went all-in and signed for Bournemouth, hoping to make EPL impact. So far, unsuccessfully: after making a forgettable debut start in a 1-3 effort against Manchester United on the opening day, he permanently dropped out of the Cherries’ match sixteen. 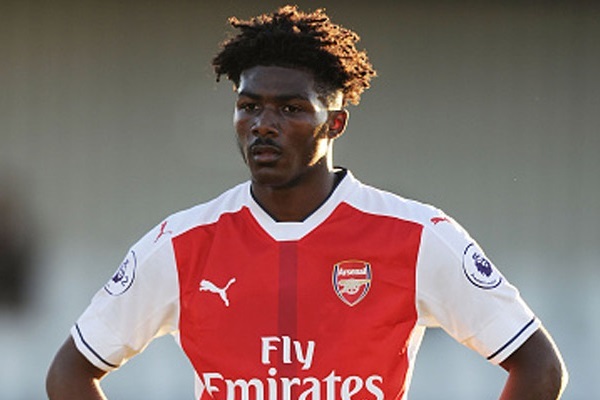 Cook’s midfield partner, Ainsley Maitland-Niles, had a bunch of promising cup appearances for Arsenal, as his team impressed in those second-rate competitions while underachieving in league. For instance: at Southampton (5-0 win), he’s won six tackles in 90 minutes. The second-youngest lad to represent Gunners in the UCL is now waiting for a full-scale chance in EPL – so far, he’s only made two, one-minute long appearances in it. Three-time Premier League player, winger Patrick Roberts, has already ditched the English ambitions two years ago and moved to Scotland to play for Celtic F.C. Experience-wise, he is now head and shoulders above his U-20 teammates, having made 34 SPL appearances for The Bhoys and faced Barcelona or his former Man City side in the Champions League. On the other hand – it’s still ‘only’ the Scottish league he’s been shining at. Two years ago, Chelsea-bound Dominic Solanke has been sort of a sensation in the Youth Champions League, where he scored twelve goals and assisted six in just 9 appearances. Loaned out to Vitesse afterwards and not even close to a CFC debut this year, he is now set to leave The Blues on a free transfer in search for a first-team chance. Unsurprisingly: if £31.5 million Michy Batshuayi can’t make an EPL start under Conte, who can? Compared to all these trails of tears, the Everton stories of Dominic Calvert-Lewin and Ademola Lookman look like fairy tales. Both made the Premier League debuts this season; both scored their maiden EPL goals as well. Together with their even younger mate, Tom Davies, they’ve been making a considerable progress for a club that has already set up the successes of lads like Wayne Rooney, John Stones or Ross Barkley. But what’s the future of this U-20 squad? Well: there might be none. With each Chelsea’s victory and success, Tomori, Clarke-Salter and Solanke are less and less likely to do anything at that club. Maitland-Niles only’s been given a handful of chances because the injury plague has haunted the likes of Cazorla, Elneny and Ramsey. The same, top-club competition issues apply to Ovie Ejaria (Liverpool) and Axel Tuanzebe (Manchester United). Even at a slightly lower level, things aren’t easy for the youngsters. Lewis Cook’s Leeds heroics aren’t enough to wrestle the starting spots from Harry Arter and the other, unfulfilled youth hope, Jack Wilshere. Another midfielder, Josh Sims delivered his first Premier League assist for Southampton but he’s only played 155 minutes of EPL football this season. Dael Fry had 0% chance to start for Middlesbrough and has been loaned out to Rotherham. The numbers and probability are even more brutal for the English youth. Chelsea have Gary Cahill; Man City – John Stones and Raheem Sterling; Man United – Phil Jones and Marcus Rashford; Arsenal – Theo Walcott. Those are the only English players who are making the top-eleven of most-used footballers for the traditional top 4 of the Premier League. In the future, it’s unlikely for those quotas to improve; in fact, they’d probably drop even lower. A developmental glimmer of hope comes from the ever-ambitious sides like Liverpool and Tottenham. Spurs’ Dele Alli, Harry Kane, Danny Rose and Kyle Walker are all big standouts of the current season – and so are Nathaniel Clyne, Jordan Henderson, Adam Lallana and James Milner for Liverpool. Unfortunately: out of those eight players, only Alli and Kane can still make a claim to be ‘hopes of the future Three Lions’ squad. That leaves the teams outside of the top-six – but which ones? Even after signing Jake Livermore, West Brom are fielding only 3 English lads in their starting XI. So do Stoke, after acquiring Lee Grant. West Ham are a tad better, though persistent injuries of Andy Carroll and Aaron Cresswell have diminished the impact of their first-choice English four. And, of course, again: those are mainly the seasoned, +30 of-age veterans we’re talking about. Of course the notion that young players should be getting to experience EPL regularily at the age of 19 or 20 is not 100% valid. After all, it’s an extremely demanding league and finding teenagers fit to endure of it’s strains on a satisfactory level is a rare feature. But again: in a country with 53 mln inhabitants (7 million more than Spain; over twice the population of Netherlands and Portugal combined), you’d expect something more than just six or seven English U-23 regulars in the squads of top 10 league teams. At the same time, on the same planet: Leo Messi scored his first senior Barcelona goal at the age of 17; so did Cristiano Ronaldo for Sporting CP. Wayne Rooney scored a winner against Arsenal five days before his 17th birthday. Kylian Mbappé, the newest Monaco sensation was 10 months away from his first legally bought beer when he netted his maiden ASM goal. The closest thing Brits have to that is Ryan Sessegnon’s brace for Fulham against Newcastle. In just another Championship match. From a left-back. Prodigies? Not in England. Not anymore.